We scientifically proved that for small hotel groups and independents, the impact of personalization is at least 16% conversion rate uplift. This is significantly higher than the average baseline uplift we recorded for hotels of all sizes. 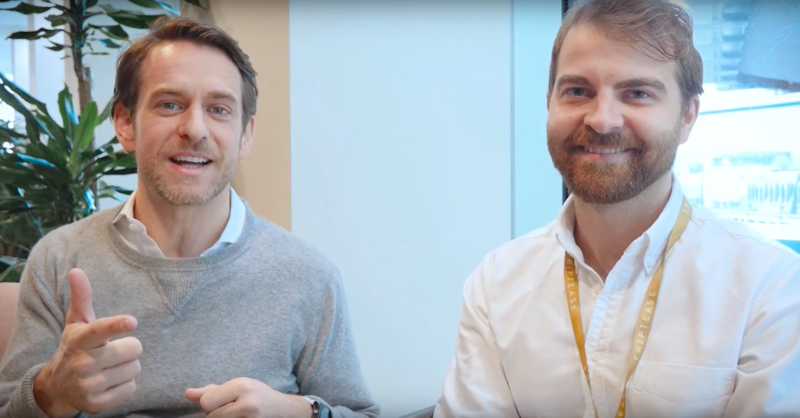 In this video we spoke to our Chief Tease Charlie Osmond and Chief Product Officer Alasdair Snow about the potential reasons for the difference. 0:29 Why we ran the test | 1:23 The results | 1:45 Variance among hotel types | 2:18 Types of personalization we tested | 3:22 Why we A/B tested at scale | 5:22 How to run a really effective test | 6:53 What’s next for Triptease? One theory is that small hotel groups are more likely to have the time and dedicated resources required to really invest in website personalization and targeted messaging. We tested the impact of our entire range of personalization tools including Full Screen Exit Messages, Nudge Messages and our range of Notifications. Working out the right combination of messages for your business, targeting the right guests and monitoring the performance of your choices does take time. Small hotel groups tend to have the capacity to invest more effort into this kind of personalization work, which could be why they are seeing such positive results. So the good news is that if you already have a member of staff or team within your business tasked with creating, testing and measuring personalized content and messages on your hotel website, you’re already going in the right direction to see a significant uplift in conversions. At Triptease our aim is always to make the job of increasing direct bookings easier for our clients. We want all hotels to feel the benefits that really tailoring your messaging to personalize the guest experience can bring. That’s why we’re continuing to increase automation within the Triptease Platform - watch the video to find out more.